One of the most popular day trips from Madrid. One hour by car or just 30 mins by high speed train gets you to the charming UNESCO-listed city of Toledo. Known as the City of Three Cultures referring to the historical co-existence of Jewish, Muslim and Christian cultures, it was also the capital of unified Spain after the Reconquista – up until Phillip II moved his court to Madrid in 1561. 1. Visit the Sephardic Museum in Toledo, housed in a former synagogue, to learn about the Jewish community in the city. 2. Take a tour of the imposing Toledo Cathedral dating from the 13th century to see its chapels, retablos, towers and choir stalls. 3. Visit the Alcazar fortress from the 16th century. Home to the Spanish kings until 1561, today it serves as an army museum. 4. Go to the Church of Santo Tome to see El Greco’s most famous painting – Burial of the Count of Orgaz. You might also want to visit El Greco’s house-museum in Toledo. 5. Daydream about what life was like in 16th century Spain as you walk about the streets and explore the city gates and walls. 6. Buy some marzipan. You’ll find some convents here still produce their ‘mazapan’ for sale directly. 7. If you’re looking for quality souvenirs, you’ll find legendary handmade swords, sabers and medieval armour available here. One of the lesser known day trips from Madrid but great nontheless. 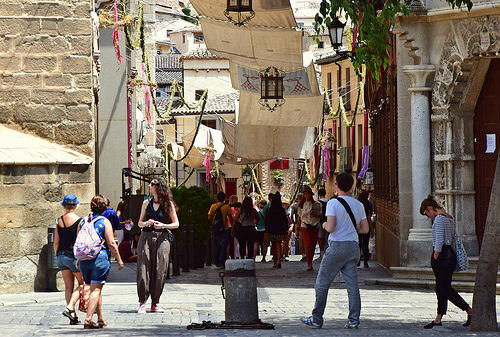 A 50-min drive brings you to one of the prettiest and most rustic squares in Spain. Its wooden balconies known as ‘claros’ date back to 1713 but the actual plaza was founded in 1499 when joint monarchs Fernando and Isabel decreed that every town should have a meeting place. 1. 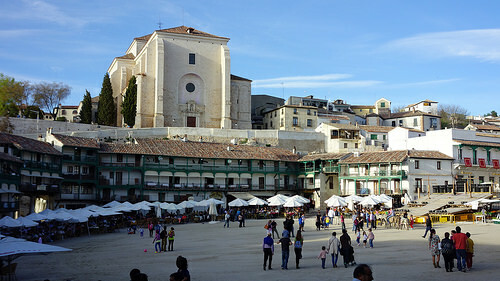 As you soak up the sunshine in the square, read up about the Count of Chinchon and Archbishop of Toledo, Luis de Borbon who was raised here and was painted by Goya. In fact, Goya painted his mother too and her portrait, the Condesa de Chinchon, hangs in the Prado and is one of his most popular paintings. 2. Visit the Church of La Asuncion that looms over the square to see Goya’s painting ‘La Asuncion de l Virgin’ located here because Goya’s brother Camilo was cleric in this very town from 1783. 3. Photograph the many amazing coats of arms throughout the town. 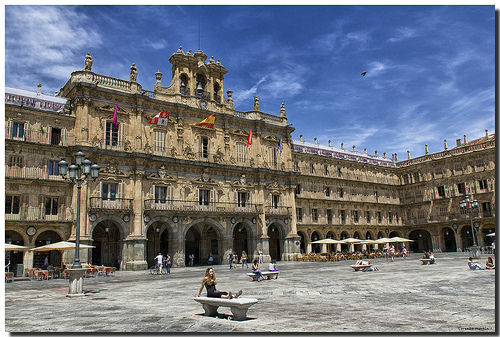 Travel 90 mins by train or 2.5 hours by car northwest of Madrid to see UNESCO-listed Salamanca –one of the most beautiful university cities we’ve ever seen. 1. Visit the university that dates from 1094. If you have children with you, ask them to find the frog carving in the university façade. 2. Climb the tower of the Clerecia building near the House of Shells. The views from the Jesuits’ bell towers are incredible! 3. Walk over the Roman bridge – beautiful by day and by night. 5. Visit the two cathedrals that sit side by side and if you have time, pop along to the Convento of San Esteban too. 6. Eat some cured meats and try to taste ‘hornazo’ – the traditional savoury pie from here. Just 55 mins by high-speed train takes you to this historic UNESCO-listed walled town, perched on the top of a rocky hill. It’s become famous for its hanging houses called the ‘Casa Colgadas’ which are built into the rock face. A very worthwhile daytrip from Madrid. 1. Walk St Paul’s (San Pablo) footbridge for its unique vantage point of the hanging houses that seem to dangle from the cliff’s edge! 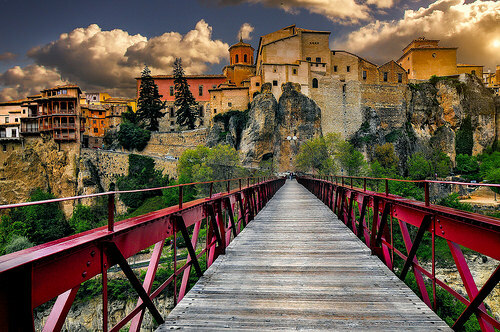 This 60m long bridge was built in 1902 to replace the 16th century stone bridge that crumbled away. 3. Soak up the atmosphere in the Plaza Mayor which is dominated by Spain’s first Gothic cathedral – Nuestra Senora de Gracia. 4. Visit the Abstract art museum run by the March Foundation inside one of the hanging houses. 5. Taste the game, roasts, stews and Manchego cheese for which this region is famed. Another of the most popular day trips from Madrid. Take a high-speed train for just 27 mins to experience the golden hues of this UNESCO-listed city and its Roman aqueduct. 1. 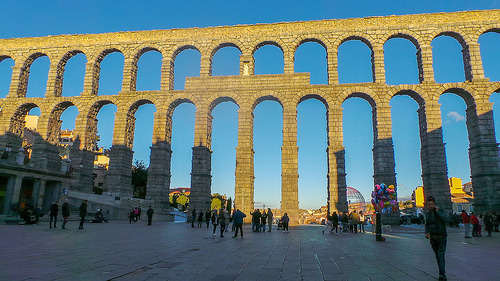 Visit the Roman Aqueduct. Built in the year 50 AD, it is one of Spain’s most significant and best-preserved monuments. Constructed without the use of mortar or cement, it was designed to bring water from the Sierra de Guadarrama 18km away and was still in use until the mid-19th century. 3. Visit the 16th century Gothic cathedral which features a retablo by Churriguera and Sabattini. The San Esteban and San Millan churches and their respective towers are also worth a visit. 4. Learn about the Jewish Quarter. The Didactic Centre of the Jewish Quarter is a great source of information on the city’s Jewish community. You should also seek out the Corpus Christi church which was the main synagogue in Segovia until 1410. From San Andres Gate, as well as enjoying the magnificent views and architecture, you can also see the Jewish cemetery which you can visit. If you’d like to know more about Jewish sights in Spain, read our guide here. 5. Take refuge in one of Segovia’s many traditional mesones where you can sample cochinillo asado (roast suckling pig) and many other roast meats for which this city is famed. Although we would prefer you to make it an overnight visit, it is still possible to take in a Ribera del Duero winery or two on a daytrip from Madrid and get back to Madrid by nightfall. We recommend hiring the services of a private driver so you enjoy your time here to the max! 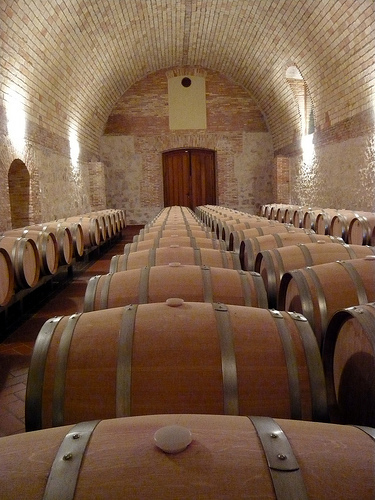 This is the DO with the most exclusive wine labels in Spain so why not explore it in style! 1. If you are on a day trip, limit yourself to just one tiny section of the DO such as Pesquera de Duero or Valbuena de Duero. 3. After the wine tastings, enjoy lunch at a typical ‘asador’ restaurant to taste the regional roast meats that go so well with the local reds. Return to Madrid – a nap on the way back is 100% optional but very welcome! After just 40 mins from Madrid by rail or car, you’ll arrive at the Royal Palaces of Aranjuez commissioned by Philip II in 1561 (although much of what you see is actually from the 18th century). It’s a great Madrid day trip for gardening fans – and you’ll marvel how luscious this area is compared to its surrounding countryside, thanks to the very effective irrigation from the River Tajo. 2. You can visit the Palace but we recommend a private guide or at the very least, an audio guide, as this is a huge building. Favourites include the Porcelain Room where you’ll find some of Spain’s best work produced by the Royal Pottery Works of the Buen Retiro here. 3. 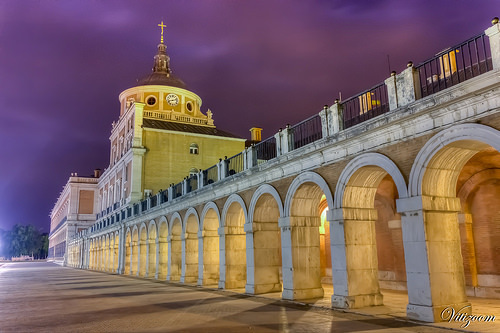 The old quarter of Aranjuez town is an impressive example of Baroque town planning. Stroll the streets of Infantas and El Principe – the names alone hinting to its royal connections. 4. If you’re travelling during the months of May, June, September or October, take the Strawberry Train to and from Madrid. And yes – you really will be served strawberries as you travel in a vintage style carriage from Principe Pio station to Aranjuez! Perfect for children, fans of history and railway enthusiasts. 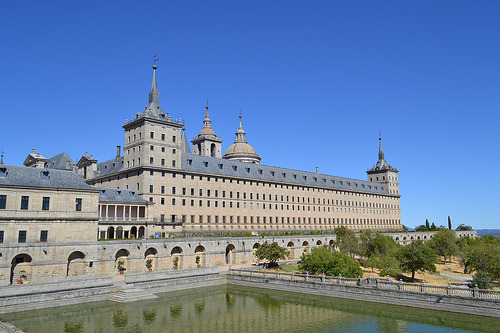 An hour’s drive or a little longer on a commuter train will get you up in the hills to El Escorial. You’re here to visit the enormous UNESCO-listed castle and monastery built for Phillip II who certainly knew how to choose a great location. The scenery is stunning all year round – and the cool breeze is especially welcome in Summer when Madrid gets very hot. You won’t be disappointed by this daytrip from Madrid. 1. Visit the castle and monastery completed in 1584 to showcase the monarch, the country and the might of Catholicism to the rest of the world. It’s scale and architectural and artistic wealth is significant. Where else will you find 15 cloisters, 13 oratories, 86 staircases, 88 fountains, 9 towers, 73 sculptures, 40,000 books (the library here is amazing) and 1,600+ paintings? And often overlooked but well worth a visit – is the Royal Pantheon – a great way to learn about of the Spanish Hapsburg and Bourbon royal families. 2. The grounds are equally impressive. From the monastery, start at the Friar’s Garden, visit the Orchard Garden and enjoy the views of the surrounding Guadarrama countryside. Gardeners and landscapers will be interested to learn about Phillip II’s modern approach to horticulture – including the Fresneda Royal Park nearby. 3. Make sure to enjoy the town of El Escorial as well where you’ll find lots of pleasant tree-lined squares with dozens of cafes and restaurants to relax and eat a meal before heading back to the capital. This day trip from Madrid is sometimes combined with Segovia. 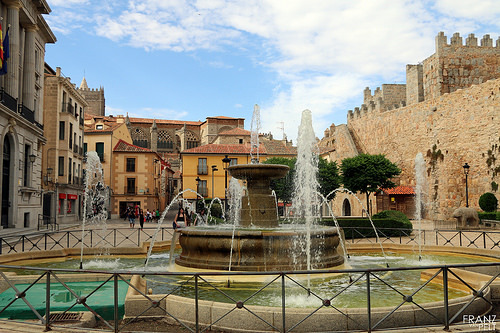 Just 80 mins by car from Madrid gets you to Avila – much beloved by meat-lovers, fans of Saint Teresa and anybody who enjoys historic walled cities. 2. Take in some churches. This is where St Teresa of Avila established her ‘barefoot’ or Discalced Carmelite convents. The fifth centenary of her birth was celebrated in 2015 and you’ll still find lots to learn about the Patroness of Spain’s life here. Start off with the 17th century Convent of St Teresa where she was born. The museum there offers a number of relics including one of her fingers alongside a cradle, sandal and rosary beads. 3. Many Spaniards consider the Iberian Avileña-Black bred beef to be the best in Spain so you’ll find lots of steakhouses and restaurants offering to prepare enormous steaks here. If you’ve walked the city walls and taken on a church of two, a nice rare steak with some local wines might be just what you need! 4. Before you hop on the train or are collected by your driver, stop off at one of the many pastry shops selling ‘yemas’ (bright yellow egg-yolk based sweets) which are made in honour of St Teresa. 1. Alcala University was founded by Cardinal Cisneros back in 1499 and you should visit a few of the university buildings here. Start out with a tour of the Colegio Mayor de San Ildefonso from 1537. Keep an eye out for the many storks and their nests on the nearby towers and steeples! And visit the Paraninfo building where the Cervantes Prize for Literature is awarded every April. 2. Cervantes’ birthplace on Calle Mayor is now a museum and is worth visiting. The writer of Don Quixote and Sancho Panza was born here in Alcala in 1547. 3. While on Calle Mayor, enjoy the stunning arcades supported by pillars. It is said to be the longest street of its type in Europe. 4. Look out for the Corral de Comedias theatre in Cervantes Square that dates back to 1601 (although it has been altered significantly since it was established). 6. If you want to dine in academic surroundings, the 17th century San Jeronimo College is now a Parador and offers all the local specialities including roast beef, pork and lamb. The Parador also runs Cervantes-themed culinary events from time to time. Convinced about the day trips but not sure what to do in Madrid city? Read our guide here! Posted in Castilla la Mancha, Castilla Leon, Madrid, Madrid Region, Museums & Galleries, Paradores, Popular Posts, Sephardi Spain, Toledo and tagged Alcala de Henares, Aranjuez, Avila, Castile, Chinchon, Cuenca, El Escorial, Madrid, Ribera del Duero, Salamanca, Segovia, Toledo.